California: Over a dozen Indian American students were among 40 finalists named by Regeneron Pharmaceuticals Inc. and Society for Science & the Public in the Regeneron Science Talent Search. 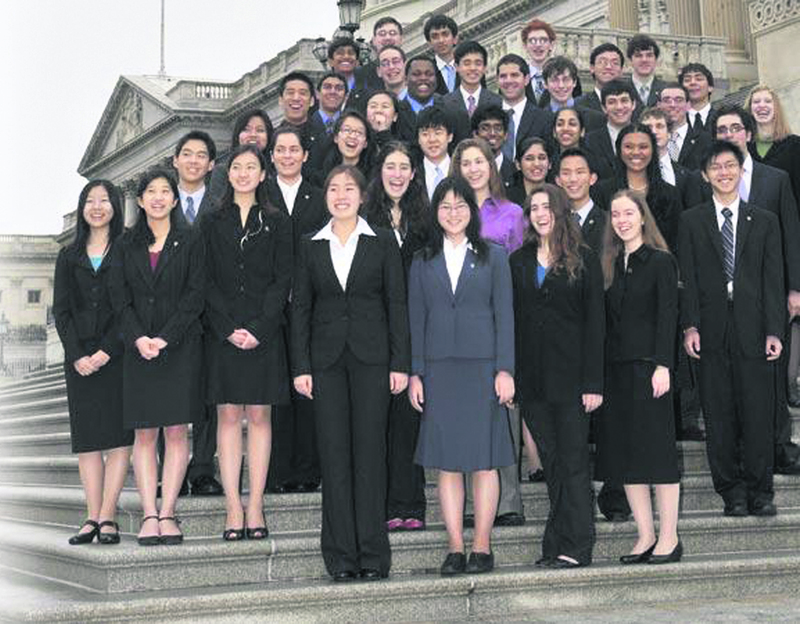 The competition is one of the America's oldest and most prestigious science and math competitions for high school seniors. Finalists were selected from a pool of nearly 2,000 highly qualified entrants, all of whom completed an original research project and extensive application process. Following are Indian finalists: Ayush Alag of The Harker School in San Jose, California; Anjali Chadha of duPont Manual Magnet High School in Louisville; Navami Jain of the North Carolina School of Science and Mathematics; Aayush Karan of University School of Milwaukee in Wisconsin. Ananya Karthik of Mountain View, Calif.-based St. Francis High School; Preeti Krishnamani of Charter School of Wilmington in Delaware; Chirag Kumar of Horace Greeley High School in Chappaqua, N.Y.; Varun Kumar of Hackensack, N.J.-based Bergen County Academies; Eish Maheshwari of Herricks High School in New Hyde Park, N.Y.; Ronak Roy of Canyon Crest Academy in San Diego, Calif.; Eshika Saxena of Interlake High School in Bellevue, Wash.; Ruhi Sayana of The Harker School in San Jose; Aditi Singh of Horace Greeley High School, Chappaqua, N.Y.; Amol Singh of San Jose, Calif.-based Lynbrook High School and Madhav Subramanian of Jericho Senior High School in New York. The finalists will travel to Washington, DC from March 7-13, where they will undergo a scrupulous judging process and compete for more than $1.8 million in awards. The finalists are each awarded at least $25,000, and the top 10 awards range from $40,000 to $250,000. The top 10 Regeneron Science Talent Search 2019 winners will be announced March 12.